Matt Sloan, Aaron Yonda, and other incredible improv-comedians get drunk while playing board games. Game of Thrones Meme Game + JON LOVITZ CALLED US! 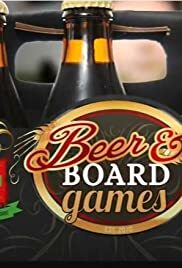 Aaron Yonda and Matt Sloan of Blame Society Films produce this series with a simple premise: drink beer, play board games, be funny. And they certainly do all three. If you prefer polite game play and serious attention to rules and decorum, don't bother. Half the fun of this series is seeing how they and their guests will mock the game they are playing. Whether turning "Mr. Game Show" into a maniacal killer who attacks Matt for ending the game, or throwing the provided dated game material away and writing their own gags on the fly, they consistently pull out every nuance of what is laughable about each game. It is not always in derision, though; often the very thing that makes the game fun to play is used as the center of a series of humorous references and banter. With improv comic guests such as Dylan Brogan, Brad Knight, Jason Stephens (whose impressions steal every episode in which he appears), Greg Benson and Paul Guse, you never know what's going to happen next. Just watching the four individuals playing a board game and mocking it, and each other, with the overstimulated electricity of a genius frat party, is enough to make the show a comedic success. But they also each drink a six-pack over the course of each 2-part session. And they get noticeably inebriated. And it goes in precisely the direction you think it will. Matt gets more surly, Aaron gets more bizarre and anxious, Dylan gets more frenetic, Jason's comments become more absurd even as the impressions remain dead-on. In this way the show succeeds as an exploration of how different people manifest different drunken personalities, and it is interesting in that as well. As it is edited from unrehearsed footage sometimes the material is inconsistent, and there are times it is less funny than just uncomfortable. But overall it's a satisfying series of interpersonal relationships, drunken debauchery, and exploration of the gamut of board games. No matter how much they berate each other, you know they are all friends at the end. And unlike much of the viral video available on the internet, so long as no one is driving home, you can, and will probably want to, try this at home.